Home > Archive by Category "Bail Bonds"
Knowing Your Rights: What is a Bail Bond? You know the expression “out on bail,” but do you know how it works? Bail bonds are a promise that the person released from jail appear for their court date. They require a lump sum of cash, and most Americans post bail using a bail bond company. What is a bail bond exactly and how does the process work? Keep reading to learn more about bail bonds in the United States. Bail is the set amount of money required to secure a criminal defendant’s release with the promise that they will appear in court for future court dates. The money stays with the court, and the payee gets it back when the defendant fulfills their obligations. The judge assigned to the case sets the bail. Every judge uses their own experience combined with state regulation to set bail. The Bureau of Justice Statistics found that om the 75 larges U.S. counties, the average bail for a felony charge was $55,400 in 2009. No national data covers misdemeanor data. However, people charged with misdemeanors are more likely to be released on recognizance, which means they do not need to pay but do need to attend court. A report from New York City showed that 23 percent of misdemeanors received a bail offer. Even those can be several thousand dollars. Given that 40 percent of American adults cannot afford a $400 emergency expense, it stands to reason that the justice system opened up room for a way to pay bail when the defendant or their family doesn’t have the cash. Because affordable bail bonds are increasingly rare, services step in to help those who can’t afford bail. Those services are bail bondsmen, and you’ll learn more about them later. A bail bond is a written document in exchange for relative freedom. A judge grants a defendant release on the condition of meeting bail. The defendant then pays the bail to the court and agrees to the conditions. Because bail is often more than the average person has in their bank account, they may choose to work with a bail bond company or a bail bondsman. The bond company puts up the money on behalf of the defendant with the agreement that the defendant upholds their obligations with the court. In exchange for the service, the bail bond company will ask for a percentage of bail as a fee. They may also ask for collateral or a statement of creditworthiness to ensure they receive the rest of the bail if you don’t meet your obligations. The most common type of bail bond is a surety bail bond. However, there are also two sub-types of bonds called federal bonds and immigration bonds. Federal bail bonds refer to bail bonds provided to defendants charged with federal crimes in federal courts. These are less easy to find not because federal charges are rare but because federal charges come with more conditions. Failing to meet any of these conditions resulted in the forfeit of the bail bond, which makes issuing a bond riskier for agencies. Immigration bonds are a sub-type of federal bonds. The system uses these in federal immigration cases to release a defendant from an immigration detention facility. Many bail bondsmen who offer immigration bonds specialize in immigration cases. They also tend to charge higher fees because of the perceived risk of the defendant failing to meet their legal obligations. Immigration bail bonds also come in two forms: delivery bonds and voluntary departure bonds. A delivery bond works like a surety bond. It guarantees the defendant will show up in court. A voluntary departure bond comes with the condition that the defendant leaves the U.S. on their own by a specific date or they forfeit the bond. So how do bail bonds work in practice? Once you pay the court, you have two options: fulfill the terms requested or skip them. If you appear for court and meet all other conditions, the court dissolves the bail bond. Once terminated, the court returns the money. If you use a bail bondsman, then the money goes back to the bail bond. They then keep their fee as a profit. As a result, the defendant – or whoever paid the bondsman – won’t get any money back. What happens if you do not meet the bail conditions? The court will require that the remaining bail be paid, and it keeps the money. If you use a bail bondsman, they use the collateral your provided to pay the court. The bail bondsman doesn’t profit when they need to pay the court. The only way the defendant gets a refund is if they pay the court in cash from their own pocket. When you pay in cash – not through a bail bondsman – you then receive a complete refund at the end of the case. You get the money back regardless of whether the jury convicts you of the charges. Judges grant bail bonds to allow you to get out and go about your life while you await trial. However, bail amounts tend to be beyond the reach of the average person. Because bail requires you to come up with a large amount of cash, many people turn to bail bondsmen. These services post your bond for a fee, and they require collateral in case you don’t meet the conditions of your bail. The only way to get a refund on your bail is to pay it in cash on your own and meet all the requirements set by the judge. Were you charged with a crime? A lawyer will work to help get you affordable bail. Click here to search for a lawyer in your area. If a loved one is arrested for the first time, then it means that you are probably new to the whole bail process. Most people do not know what goes into bail, how the bail is paid, and how an agent can help. There are a few things that you need to know about bail and bail bonds. Here are important facts about bail bonds. You can go to the bail bonds agent if you do not have adequate money to settle the entire bail amount on your own. A licensed bonds agency will put up the cash to cover your bail and you pay them an agent fee that is usually 10% of the entire amount. This acts a loan that the agent gets back if the accused person shows up for the required court appearances. If a person skips bail, it will be revoked and the agent will lose the cash they put up on their behalf. Your initial thought when you or a loved one is arrested will be contacting a bail bond company. However, you should keep in mind that not every state allows them. Privatized lending companies for bail bonds are restricted in a few US states. Some of these states include Kentucky, Oregon, Maine, Wisconsin, Nebraska, and Illinois. This means that if you are in these states you will need to come up with your own funds to pay for the bail money. Paying the entire bail amount on your own can negatively affect your current financial situation. With Castle Bail Bonds in Columbus Ohio, you will only be required to pay part of the bail amount and this means less risk on your part. The courts only return the bail money when the defendant shows up for all scheduled court dates and adhere to all set standards. If they fail to show up to the courts and the money is lost, you will only lose a small amount of your money. Bail bonds services must be regulated by the state and must adhere to all set regulations. This includes the regulations that determine the amount and rates that should be charged for the bail bonds services. This means that trying to comparison shop to get the lowest deal is usually a dead end practice for clients. This is because these charges are regulated by the state and not an individual bondsman. The bail amount is not usually returned until after the legal proceedings have been completed. Therefore, if you opt to pay the amount on your own, you should keep in mind that this amount may stay with the courts for some time. This is because the justice system experiences lots of backlogs on all levels. Therefore, this money will not be available to you if you need cash for an emergency. Furthermore, you may never get this money if your loved one misbehaves when they are out on bail. If you or a loved one has been arrested recently, then you know that you have different options to help them get out of jail soon. Make sure that you contact a reputable bail bondsman to help answer all your questions and give you the options that you have available. With the right agency, you or your loved one will get out of jail without breaking the bank. If you’ve been arrested, getting out of jail is usually the first thing on your mind. But, before your release, there are some important things that you should know. Read on to find out everything you need to know about how a bail bond works! 1. How Much Will it Cost to Bail Out of Jail With a Bondsman? The amount that you will have to pay varies depending on the nature of your crime and the amount of bail that’s been assigned to you. In some instances, a bail bondsman may ask that you pay a small service charge, plus any legally mandated charges that are required by law for your release. Other than these nominal charges, which usually amount to less than $100 dollars, you must pay a set percentage of the total amount of bail that’s been assigned to you. Most bail bondsmen typically require that you pay 10-15% of your total bail amount. So, if your bail has been set at $10,000 dollars, you could potentially pay just $1,000 instead of the full $10K. 2. What Does It Mean to Enter Into a Bail Bond Agreement? When you enter into a bail bond agreement, you are making a promise that you will adhere to any legal requirements asked of you which pertain to your case. This includes reporting to the appropriate officials, attending the required court dates, paying any fees assigned by the courts, and so on. In most cases, you are also agreeing that you will follow the law while awaiting a decision in your case and that you will not incur any additional charges prior to the courts reaching a determination in your case. If you do not follow the agreement completely, the bondsman has the right to collect the remaining bail money that you were not required to pay at the time of your release. Furthermore, the bondsman may be held liable for the remaining bail amount if you do not do what is legally required of you by the courts. 3. What is Required at the Time of Signing a Bail Bond Agreement? To bail out of jail with a bondsman, you only need to meet a few simple requirements. Although these can vary somewhat, depending on your state and the bail bond company that you use, they are usually similar across the board. 4. What Are My Responsibilities Once I Am Released? Once you have been released from jail, you must comply with your agreement or you risk the possibility of rearrest. Providing the bail bond company and the courts of any changes in your address, employment, phone number, or your general whereabouts. There may be additional responsibilities, depending on your case, that are asked of you. For example, you may not be able to leave the state or contact the defendant in your case, or you may need to adhere to other conditions, such as mandatory drug tests. 5. What Happens if I Miss My Court Date? If you miss your court date without obtaining permission, then you may be rearrested or have to pay the remaining balance of your bail to the bondsman. It is essential that you show up to every court date that is assigned to you unless you make prior arrangements to reschedule your case with the courts. 6. How Quickly Can I Bond Out of Jail? By law, some misdemeanor charges require a mandatory waiting period before the defendant is allowed to bail out of jail. These might include domestic violence charges as well as instances when you are detained under the influence of illegal drugs or alcohol. In felony cases, and potentially other cases as determined by law, you will have to wait until there is an arraignment, or hearing, and a judge sets the amount of your bail. However, these will usually occur within days of your arrest. Once bail has been determined and you have undergone any mandatory waiting period, you can usually contact a bail bond company, such as Alamo City Bail Bonds, who will assist you in bonding out of jail. Most of the time, when all other conditions have been met, you can bond out of jail on the day that you contact the bail bond company. You may need to exercise patience, however. Many times, it can take several hours for the bondsman to arrive, and for them to call you for release. You may also need to take time signing documentation and making financial arrangements. 7. Will I Owe Additional Payments to the Bondsman After I am Released? In most cases, the answer is no. However, if you do not comply with the terms of your release, you will potentially have to pay the remaining amount of your bail. The remaining bail amount might be several thousand dollars. And, in some cases, it might even total several hundreds thousands of dollars. So, you want to be sure that you follow your agreement with both the courts and the bondsman in your case. After you take care of your bail bond, you will be released, but it doesn’t end there. If you are facing criminal charges, you will need an attorney to represent you in court. If you can prove indigence, the courts are required to provide you with an attorney. However, the court’s requirements to qualify as indigent usually only pertain to a small population of offenders. A lawyer can help you navigate the court system and will try to make sure that you receive the best possible outcome in your case. Check out our site to find an experienced criminal defender who will fight for you! Have you ever received a call that a friend or loved one is in jail? We hope you never get that call. But if you do, they might need your help. Bailing someone out of jail can be a scary process. Do you know how bail works? If you’ve never done it before, you might feel intimidated. But we can help. Here is a step-by-step guide for how to bail someone out of jail. Bail is a way to borrow freedom. You pay money to a bail bondsman for the temporary freedom of a person in jail. If you put up money for a bail bond, you are responsible for repaying it. You are also responsible for your friend to follow the rules of the bail situation. They must do what the court requires as a condition of their release. This includes showing up to court dates. If your friend or loved one fails to follow the conditions of release, the court revokes the bond. You lose your money. Your friend goes back to jail until trial. After understanding bail, decide if you’re ready for that responsibility. When bailing someone out of jail, you first need a bit of information about the situation. Find out where they are. Chances are, they might sound frazzled when they call you. If you can find out from them which arresting agency made the arrest, that’s a good first step. You can take it from there. Once you find out the city where the arrest took place, call the arresting agency. The arresting agency (usually a police department) can tell you where the arresting officers took them after the arrest. Some cities have more than one detention location. Once you have that info, get in touch with the jail. The jail or detention center will tell you the status of your friend’s booking. In some cases, the status of arrests is available online. Check the arresting agency’s website for information. It’s possible your friend is released after booking. If the arresting agency books and releases your friend, they won’t need to bond out of jail. But if they remain in jail after booking, this is when bail comes into play. Timing is critical when bailing someone out of jail. They will have an arraignment before they are released. An arraignment takes place before a judge. If the arrest happens on a weekday, they’ll likely see a judge within a day or two. But if the arrest happens over a weekend, a judge usually isn’t available until Monday morning. Your friend could spend the weekend in jail. Bail is set at the arraignment. For minor and first time offenses, it’s common for the condition of release to be “on your own recognizance.” This means your friend is free to go without paying bail. But some of the conditions of recognizance include having a job, a place to stay, and friends or family nearby. Conditions of release still apply when released on recognizance. Failure to show up for court results in penalties. But you won’t need to bail your friend out of jail. For serious offenses or repeat offenses, bail is common. Once you know the bail amount, contact a bail bondsman. A bail bond is set at a percentage of the total bail amount. If your friend’s bond is set at $100,000, you won’t pay the full amount to get them out of jail. Private Bail Bonds: This type of bond is the most common. You’ll pay 10% of the total bond amount to the bail bondsman. The bondsman pays the remaining amount. This equals the full amount owed to the court. Public Bonds: If private bonds aren’t legal in your area, the court system can offer bonds. In this case, you’d pay 10% to the state instead of a private bail bondsman. Most states allow private bondsmen. But in some states, like Kentucky, Oregon, and Illinois, private bondsmen are illegal. For more insight into how bonds work, view here. In the world of bail bondsmen, not all bondsmen are reputable. Search online for bail bondsmen in the area where your friend sits in jail. You can also ask for referrals from lawyers. If time allows, do a little research on your top choices. Bail bondsmen should have licenses and credentials. Each state has their own licensing requirements for bail bondsmen. After your friend bails out of jail, make sure they have transportation to their home or a safe place. Remember, by paying the bond, you’ve assumed responsibility for your friend. Make sure they stay out of trouble, work with their lawyer, and show up for court. If they fail to follow the conditions of their release, you lose your bond money. Once the case is complete and all conditions met, check on the status of your bond. If you paid a bail bondsmen, chances are you won’t receive any money back. The bondsmen consider this their fee for posting the larger part of the full amount. If you paid directly to the court, you should get your money back. We hope you never have to use this knowledge. But just in case, it’s good to know how to bail someone out of jail. No matter the legal situation, Halt.org is here with helpful articles and an extensive directory of lawyers. Search the category for your situation and find the perfect lawyer for your need. If you’re a lawyer, you can also list your firm with us. Contact us to list your firm, or if you have any questions about our services or articles. How does bail work? If you’re thinking about how you can get representation for a criminal case, it’s important to touch base with the right bail agent. Understanding the process and answering the question of “How does bail work?” will help you get from behind bars. With this in mind, read below to learn more about bail bonds, how you can get them and how you can handle the whole process. It’s crucial that you learn the process of bail bonds, starting with the obvious “How does bail work?”. First of all, the judge will handle the bail amount. Your lawyer can go to the bail hearing and speak on your behalf to make sure you get the fairest amount. The bail comes with specific provisions — such as where you can live, curfews, maintaining employment and other factors. Be sure that you understand the full agreement so that you can honor it upon release. To get your release, you will need to work with a bail bond agent that can furnish the money on your behalf. Make sure to look into the specialty of any bail bond agent you’re choosing. For instance, a company like AA-Action Bail Bonds specializes in helping people arrested for DUI, while others hone in on clients accused of larceny and other financial criminal offenses. The most important part of the agreement is to be sure that you show up to all your court dates on time and with full cooperation. How Can I Find the Help of a Bail Bond Agent? The key to it all is making sure that you find the help of a credible bail bond agent to assist you. By reaching out to a few different bail bond pros, you’ll learn which are the most professional and can research their prior work. Ask for some references to be sure that you’re choosing a bail bond agent that is recommended by others that you trust. Understanding the work that they provide will help you to ask the right questions and make sure you’re taken care of during your bail process. How Much Will Bail Cost Me? You’ll need to also shop for the right rates when you’re seeking bail. In most cases, you might expect to pay about 10 percent of the total bail amount. For example, if your bail amount is $20,000, you will pay $2,000 up front. Your bail agent will allow you to use belongings for collateral as well, so make sure that you take an all-encompassing look at your finances. Check with a few different pros to make sure that you’re getting the best professional bail bond service, at rates that are affordable. When you need the best bail bond service that you can find, it’s important that you consider these tips. Now that you’ve answered the burning question, “How does bail work?”, you’ll want to start reaching out to agencies. Our bail bond agency offers great service and can help you with anything that you need. If you’d like to learn more, reach out to our bail bond agency so we can help you further. Despite decreasing trends in violent and property crimes, there’s still trouble in the neighborhood. Crime is in every city and town, ranging from trespassing onto private property to carrying illegal substances. It’s an unfortunate yet inevitable part of society that will never go away. Most of us are concerned about the finding of a criminal but forget the processes that happen after they are found. However, the post-crime processes are all the talk right now in California. Make sure you keep reading to get all the latest updates on the California bail reform. How many other states are to follow? California decided to rid the use of cash bail bonds. Trust us, you aren’t the only one asking questions. There is a ton of talk surrounding this issue and plenty of people trying to understand how it’s going to work. Instead of using cash bonds to get out of jail, the state will now be utilizing evaluations determining an individual’s risk. The risk of fleeing and causing further danger to other people and property will be determined on a person-by-person basis, and this will affect monetary obligations and bail conditions. No one is exactly sure what specific performance scales, answers, and clues the state will be looking at in this California bail reform to determine risk levels. The uncertainty of the issue is causing quite the stir across the state. While some officials are claiming the riddance of cash bail bonds will cause a level playing field among the rich and poor, some are afraid this will result in greater racial issues. Those who are against the reform are not going down without a fight. This whole reform raises a handful of “What If?” questions California may have to answer. What if the risk evaluation of an individual wasn’t correct and someone who was expected to turn up to court does not? What if arrest warrant rates increase? What if an individual determined “low risk” simply hasn’t been caught for a handful of crimes in the past? What if they wreak even bigger havoc when released? It’s a tricky game to play with plenty of controversy surrounding the topic. Many people are saying this removal of the cash bail bond is happening too quickly for comfort. Cash bails have been around for a long time, allowing those detained to be released prior to their hearing in promise of cash payment or release of property. California is changing up the game in the California bail reform. Some have issues with all the power that is going to be given to prosecutors when determining whether the criminal is of a low, medium, or high risk. Others are thinking this new process will create a more level playing field across the economic spectrum. If you have any further questions on processes of law or need help finding a lawyer, get in touch or explore our blog. Bail is the amount that a judge will ask a defendant to post during the arraignment process to increase the likelihood that they will show up to their court date. Bail doesn’t have any specific guidelines; the parameters that judges will use to set the dollar amount are typically based many factors – the most important being the defendant’s criminal history and the egregious nature of the charges set against them. There are also times when a crime is so minor, and the defendant appears to be an upstanding citizen, that a judge will release bail and not have them post any money. It is possible for the presiding judge to release someone on their own recognizance, which means that they are released to return for their court date. It isn’t mandatory for you to have a lawyer present during the arraignment hearing when bail is set. 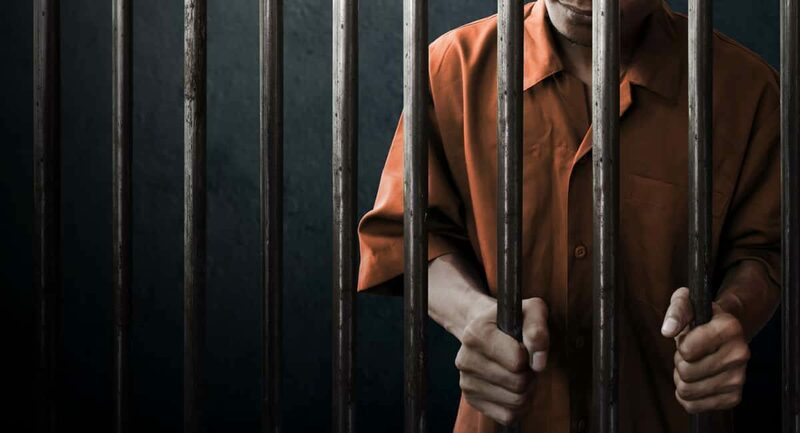 But if you are facing severe charges or you have a criminal history, then having someone to try to get your bail reduced may be necessary so that you don’t sit in prison awaiting your day in court. Once the bail is set, the defendant can either pay their own bail amount, they can request a bail bond seller to “lend” them bond money, or someone can post bail money on their behalf. If someone posts bail for another person, if the defendant does not return to court, the person who posted the bail will not get their money returned to them. There are also times when an individual’s crimes are either so egregious, or they have an extensive criminal history, which the judge has the right to deny the defendant bail altogether. What are the factors that determine if bail is granted or for which amount it is set? It isn’t just the severity of the crime that the judge must take into consideration when setting the bail amount. The judge will also ask about the defendant’s previous criminal history and whether they hold a job, or whether or not they are established in the community. If they are transient, then there is more of a likelihood that they might not return to face charges, so the bail is typically set higher. Some courts use computer programs that are designed with algorithms to determine the amount of risk that a defendant poses of not returning in order to determine how much money the judge should set for bond. But the amount is usually left to the discretion of the sitting judge. Some jurisdictions allow defendants to post a bail amount before they even have to await the arraignment hearing. Some jails post “bail schedules,” which specify how much bail someone has to post in relation to their alleged crime. The amounts, however, can vary significantly from one jurisdiction to another. In general, felony charges result in bail amounts that are anywhere from five to ten times more than what someone would post for a misdemeanor charge. The reason for this is because if a felon is let out of jail, they generally pose a greater risk to the community than someone who is charged with a misdemeanor. Another option in some areas is using “duty judges.” When you are arrested, a duty judge is allowed to ascribe a bail amount over the telephone. It speeds up the bail process and allows people to return to their lives in the event that they aren’t guilty of what they are alleged to have done. If you are arrested on criminal charges, you will probably be granted a bail amount – unless the crime is extremely egregious or you are a threat to society due to your criminal history. If you are facing serious charges, you might want to hire a right to bail lawyer to ensure that you can make bond, or to ensure that it is even granted in the first place. Getting incarcerated is no pleasant feat. It involves a lot of time, patience, and some money. You may have heard of terms like “bail” and “bond” but many people don’t know what they truly mean. Even fewer people know what a bail bondsman does. This guide will give you more insight into bail bonds and the duties of a bondsman. A bail bond is like a promissory note between the courts and a defendant. “Bail” and “bond” mean the same thing. When someone gets arrested, the courts schedule a bond hearing to determine if the detainee can be released. The hearing is largely dependent on the charges (misdemeanor or felony) and the detainee’s criminal history. First-time offenders and those with misdemeanor charges are more likely to be granted bail. Detainees with a “Failure to Appear” on their record most likely won’t be granted bail. At the hearing, a lawyer or a bondsman petition the judge to grant bail by promising that the defendant will show up for court and other court-related activities. Bondsman act as the liaison between the courts and the defendant. After the bail amount is set, the bondsman speaks to the defendant to secure at least 10% of the amount. Amistad Bail Bonds has a blog post that lists some alternative ways to get the money for bail bonds. In some states, like Texas, the bondsman can charge up to 20% of the bail. The bond fee is nonrefundable, even if the charges get thrown out, the bondsman keeps it. The bond fee is a cash payment of 10% and sometimes, a security such as the deed for a house. All of the collateral gives the defendant more incentive to show up for court. The bondsman works out an agreement with the judge, but ultimately, you are responsible for appearing in court. If you don’t, the bondsman can send a bounty hunter to find you. The bondsman can also sue you or your family for the bail money. The first tip, and probably most important, is understanding your friend’s criminal charges and history. You should know what the charges are and what type of offender your friend is. If your friend is on probation, their probation officer may decide not to bring them to court. Usually, this happens after the first probationary offense. After the arrest, the police file a motion for probation revocation. A hearing is set to determine if the defendant can receive bail. Remember, bail isn’t a guarantee so the defendant may get denied. The second tip is to have money saved to pay the cash portion of the bail. Bondsmen charge 10-20% of the total bail amount. For example, if bail is set at $50,000 you pay at least $500. Cash is mandatory. If you have trouble getting cash, you should try crowdfunding online or borrowing money from a family member. You will also need some assets to secure bail. Usually, bondsmen may require you to sign over some property. However, they try their best to work with you. They can help you set up a payment plan if it’s more convenient for you. Hiring a lawyer is the best way to deal with a court case. The lawyer will explain the court process to you and help you and your loved ones navigate the bond process. Please visit our website to learn more about our attorneys.